After the previous night’s epic tooth-rattling concert featuring the ‘Eggnog‘, ‘Lysol‘ and ‘Houdini‘ albums, I was wondering what the response would be to this nights playing of ‘Bullhead‘ and ‘Stoner Witch‘. Two great records that bookend the other three, they are generally lesser known by the masses but equally crucial to the Melvins catalog. I needn’t have worried as the crowd seemed to build on the intensity that began the night before. The band’s no nonsense approach didn’t stray from the track listings of the two discs, but their intense live renditions will never be mistaken for the studio versions. 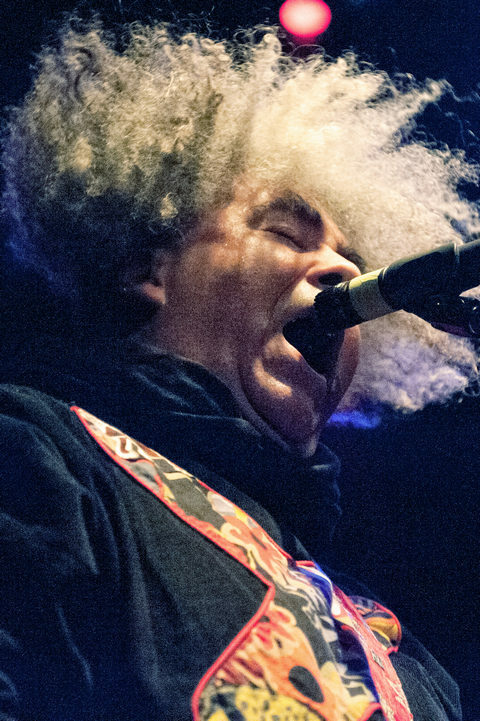 Anything but workman-like, the Melvins imbued new life and twists into these songs. Among others, this included the set-enders: extended opus, “Boris”, and the night’s closer, “Shevil”, which gave Dale Crover and Coady Willis a jumping off point for a 12 minute drum workout. 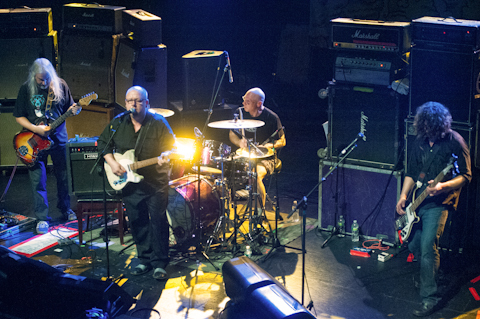 Joined by skinsman Vinny Signorelli from Brooklyn-based Unsane, thunder pealed through the venue and left many attendees with their ears pleasantly ringing. Set up in the dead-center spot on the balcony, the resultant recording is excellent and surprisingly clear considering the sheer volume in the venue; a testament to the engineer’s skills and how good the P.A. is in the Music Hall of Williamsburg. That said, if you like heavy low-end, this recording is for you. Enjoy and PLAY IT LOUD!! If you download this recording, we expect that you will PLEASE SUPPORT Melvins, visit their website, visit their MySpace and Facebook pages, and purchase their official releases and merchandise [HERE]. My last Melvins show had nothing on the epic 25th anniversary show that we also recorded (both recordings available here), where the band did a full run-through of their most famous album, Houdini, and a gaggle of other songs in a two and a half hour set. 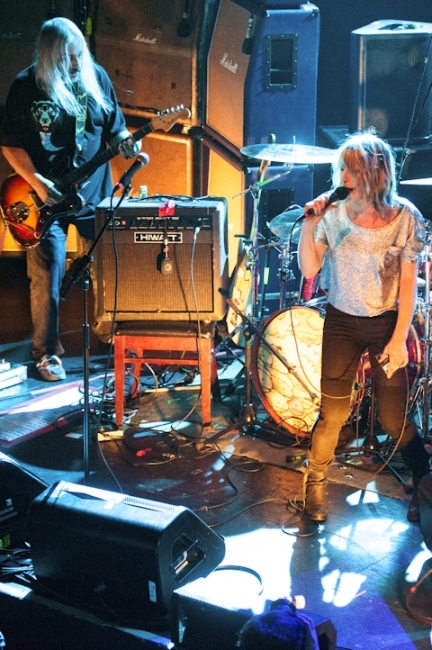 So naturally, I was anxious to see them again at these shows at Music Hall of Williamsburg, where the band promised run-throughs of multiple albums per night. 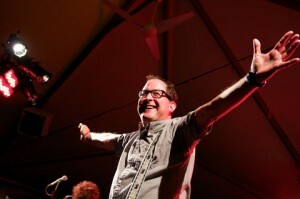 On this first of the two nights, the band played material from three of their records, the classic Lysol, the somewhat less-known Eggnog, and finally, Houdini. The venue’s sound system – arguably the best in tri-state area – was a highlight in and of itself as it pumped out the bone-rattling levels of sound from the band. Unlike the 25th anniversary show, this show was all business, with the band doing a first set consisting of a mix of Eggnog and Lysol tracks that closed with an epic “Sacrifice” without a single second of banter. This set of longer, sludgier songs set a (relatively) mellow tone to preface the blistering second set, consisting entirely of tracks from Houdini. By the end of the kickoff track of the second set, “Hag Me,” the floor was a sea of bodies, and it stayed that way through the very last song, “Spread Eagle Beagle,” which closed out, appropriately, with the band’s dual drummers pounding the skins alone onstage. 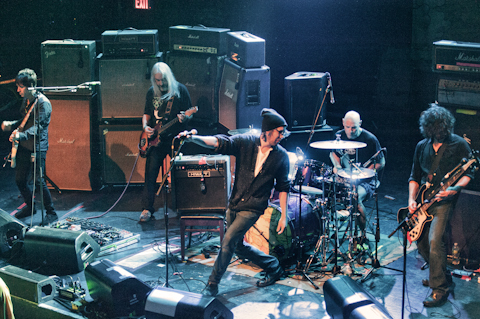 Once again, the Melvins brought the epic noise… leaving us hungry for night two. I recorded this set with the Schoeps microphones on the center of the balcony, running into a custom analog preamp to provide more detail and warmth to the recording. The results are outstanding and reflect the incredible sound in the room. If you download this recording from NYCTaper, we expect that you will PLEASE SUPPORT Melvins, visit their website, and buy their records from Ipecac records here.